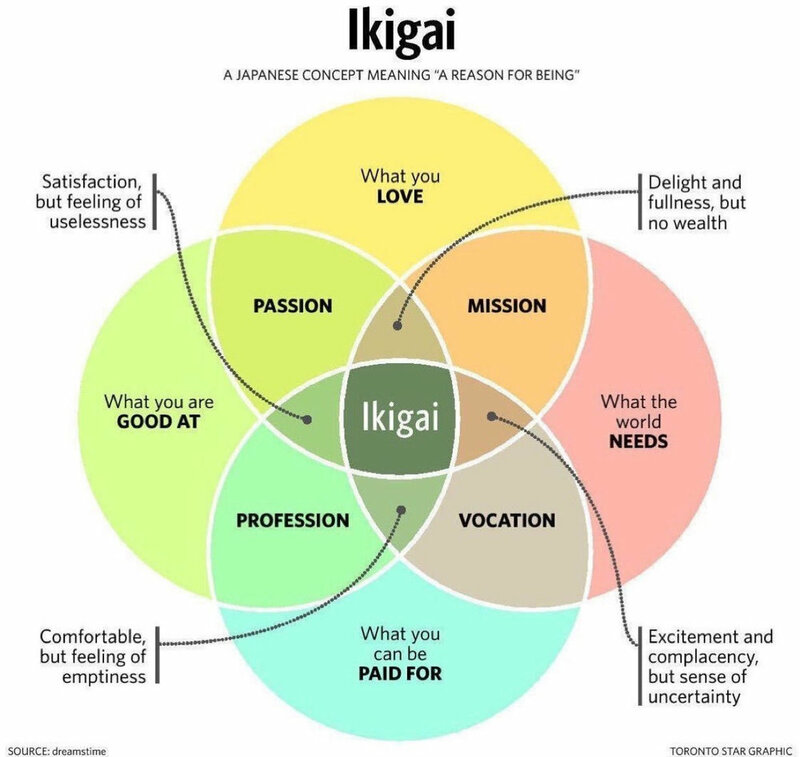 Over the weekend, I learned about the Japanese concept “Ikigai” (eee-kee-guy), which translates to “reason for being” or “reason for living.” It was because of this graphic. I was immediately captivated by the idea. I just spent all of last week on a work retreat of sorts with two dear friends—Amy Batchelor and Brad Feld—and we talked a lot about deep, life’s purpose kind of stuff. So, my discovery of the Ikigai concept could not be better timed. After sitting with it today, this framework has given me remarkable and immediate clarity into what is causing me angst in my working life at the moment. At this stage, I have a pretty good sense of what I’m good at and what I can be paid for. But, I’m questioning if the world really needs what I’m offering and if I love doing it. Sometimes I feel like one or both are true; but just as often I think the opposite. The graphic suggests a void in these two areas would produce feelings of emptiness at work, questioning the impact I’m having, and doubt about if what I do is important. That struck a major chord for me. I do know that the reality is not that dire, but also know that I need to do some deeper exploration—there are some answers in it for me. 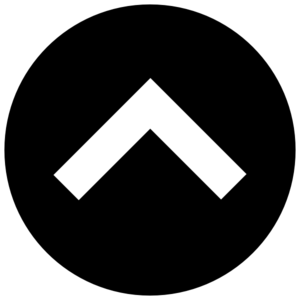 For now, with Ikigai at the front of my mind, I’ve immediately been able to isolate where I need to focus attention. This framework is helpful for me and I’d bet that it would be for many other working professionals who are also questioning in these same two areas—knowing what they’re good and how to get paid, but unsure about the impact they are having or if they love doing what they do. I’ve been saying some version of the following phrase lately and it feels very authentic to me: “There are plenty of interesting things to do in this world, but what matters most to me is the people I’m doing it with.” I’ve decided that my immovable constraint is to work only with people I deeply enjoy collaborating with and then to simply optimize interesting and rewarding work around that constraint. Melding this people-centric priority with my two Ikigai question areas, then, tells me that I need to focus intensely not on whether I love my work or whether the world needs it, but instead, on working with people I love who need and value me. These sentiments should be mutual too. That feels right to me but I’m going to continue exploring it. Either way, I thought it was worth sharing this concept with others who may also find it useful as I have.